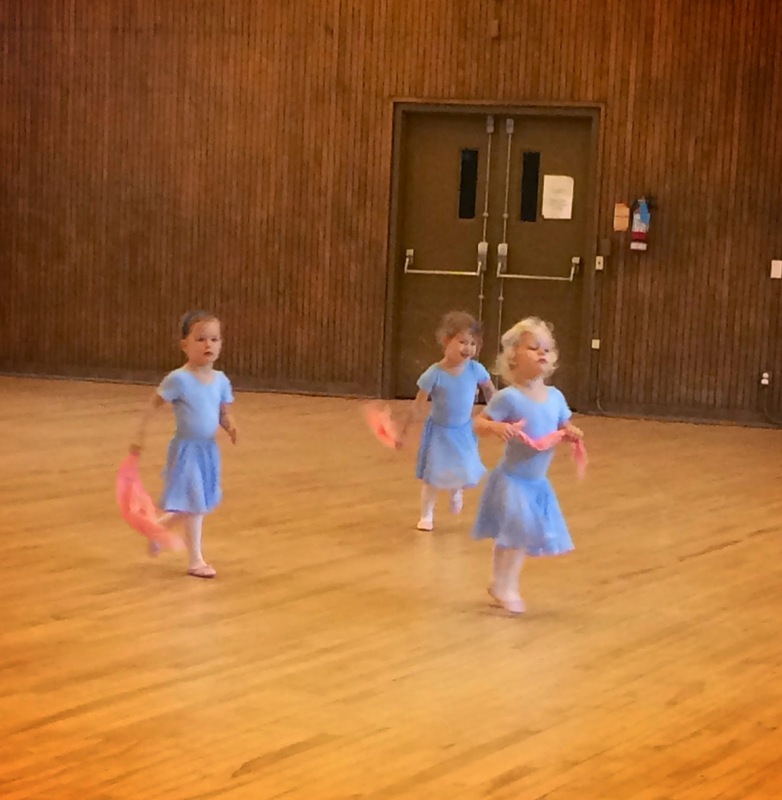 Three year olds in adorable little ballet uniforms get me every time! I did ballet for several years as a young child and enjoyed it. I thought that it would be a good activity for their girls. It is active, but requires focus and attention. The class is only 30 minutes long; perfect for 3-year olds. It's a drop off program, but you can't get much done in just 30 minutes. The parents end up huddling around the tiny window hoping to catch a glimpse of twirls and toe pointing. Day one was a little challenging. They didn't want me to leave, so I promised to stay in sight for the duration of the class. On day two, this past Saturday, their teacher promptly shut all the parents out to take control of the class. The girls did very well, from what I saw over the window hog's head ;) I actually saw Quinn smile. A big step from the previous Saturday. Teagan will likely get more into it than Quinn. I'm not sure if it will be her thing. While she has the look of a ballerina, she's anything but…something a little more aggressive might be her scene. Time will tell! 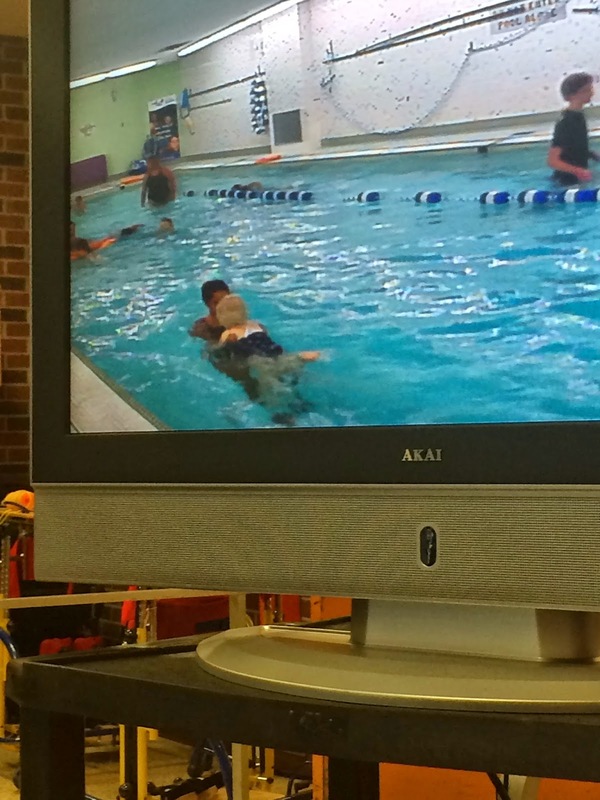 They also started swimming lessons last week. Swimming was a must in my book. My parents also required us to take swimming lessons until we reached a certain level. While we will no longer spend our summers at the cottage, I still think that it is important for them to learn how to swim. They're in a great swim school that has a 3:1 ratio for their age group. Lucky for us, they're the only ones in the class. It is also only 30 minutes long. More than enough though. Quinn was extremely nervous to leave my side. Parents are not allowed on the pool deck. They have set up a live feed to a TV in the waiting area. I'm glad that I was able to see them both. Teagan melted down part way through, but managed to pull it together. They were both quite overwhelmed when they came out of the pool. They told me that they didn't like swimming lessons. I told them how much I loved watching them swim on the TV. I told them that I saw them swim on their fronts and backs and dunk their heads. We talked about it very positively for the ride home. When Jenn asked how swimming went, they both answered, "great!" That's Teagan in the bottom left. 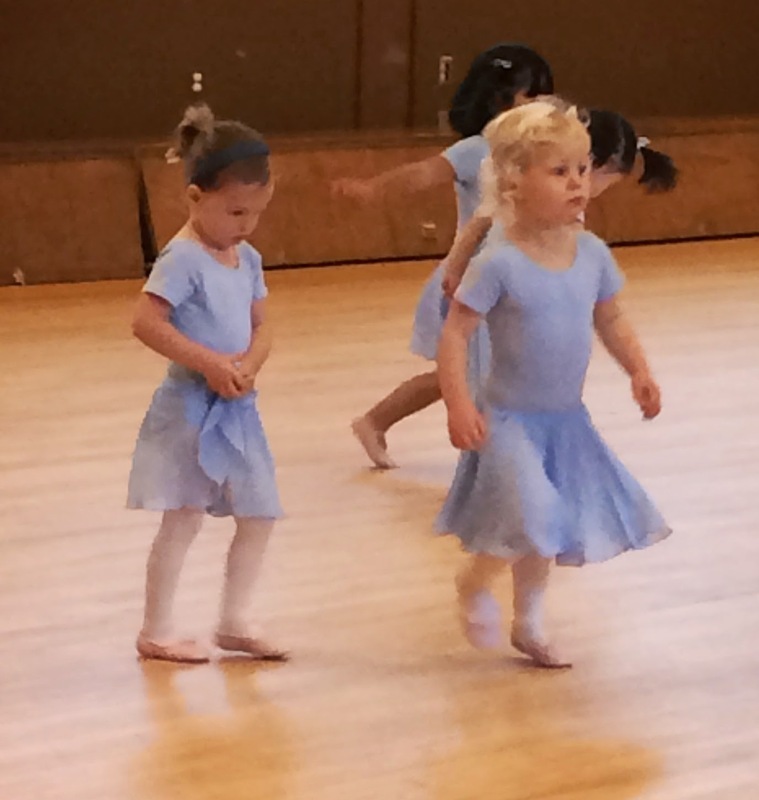 Ummmm, itty bitty ballerinas are ALWAYS adorable. It is a law...somewhere...I am sure. T and Q nailed it. As for swimming, yep, it is a requirement here as well. However, what started as early lessons for "added safety" has turned into sport for Little Monster so as you said, when it comes to little ones and extra curricular activities, time will tell! Dance leotards on little kids = cute. Riley took dance for a few years. It didn't turn out to be her thing but I like to give the kids opportunities to try things and see what fits them. That reminds me of the swimming lessons Riley used to take. It was a swim school in Toronto and a lot of the times the classes only ended up having 2 kids which was awesome. It was more intense than the community centre swim lessons. I think lessons are important although we've kind of stopped doing them once we got a pool and the kids are always swimming all summer long. They learned how to swim just by using our pool. I may sign one or more of them up for a winter/spring session though. We'll see.